Dakota people are comprised of four groups: The Bdewakantunwan (Mdewakanton), Wahpetunwan (Wahpeton), Wahpekute, and Sissitunwan (Sisseton) people form what is known as the Isanti (Santee), or eastern Dakota (a word that means ally). To the west, in present day South Dakota, are the Yanktonai and Yankton (who identify as both Dakota and Nakota) and the Teton (Lakota). Collectively today, these groups have tribal lands that cover areas from present day Minnesota, to South Dakota, North Dakota, Nebraska, and into Canada. They form the Oceti Ŝakowiŋ (the Seven Council Fires, sometimes referred to erroneously as the Sioux). Mni Sota (Minnesota) is centered as the birthplace for the Dakota, with Bdote (where the Mississippi and Minnesota rivers meet) and Bde Wakan (Spirit Lake, now also known as Lake Mille Lacs) highlighted in Dakota creation stories. The Bdote area consists of many areas of historic and contemporary Dakota significance, such as Taku Wakan Tipi (Carver's Cave), Mni Sni (Coldwater Spring), and Oheyawahi (Pilot Knob). Historically, the Santee Dakota moved their villages and varied their work according to the seasons. In Dakota society women have always held an essential role. They gathered wood, processed hides, farmed, made clothes, and were the central keepers of the home. Men hunted and fished to provide game for the entire village, while also securing community safety. In the spring, winter villages dispersed and men left on hunting parties while women, children, and the elderly moved into sugaring camps to make maple sugar and syrup. During the summer months families gathered in villages to hunt and fish. They processed the game and harvested traditional medicines and indigenous plants, as well crops such as corn, squash, and beans. They also gathered wild rice along the vast lakes throughout Mni Sota. In autumn, families moved to the year's chosen hunting grounds for the annual hunt that also prepared them for the upcoming winter. Winter months were spent living off the stores of supplies they built up during the previous year, along with continual fishing and hunting. This traditional lifestyle of communal support and a deep connection to the land and natural resources are the basis for Dakota society and culture. Kinship formed the basis for traditional Dakota social structure. Yankton Dakota anthropologist Ella Deloria wrote in 1944: "The Ultimate aim of a Dakota life, stripped of accessories, was quite simple: One must obey kinship rules; one must be a good relative. No Dakota who has participated in that life will dispute that. In the last analysis every other consideration was secondary-property, personal ambition, glory, good times, life itself. Without that aim and the constant struggle to attain it, the people would no longer be Dakotas in truth. They would no longer even be human. To be a good Dakota, then, was to be humanized, civilized. And to be civilized was to keep the rules imposed by kinship for achieving civility, good manners, and a sense of responsibility towards every individual dealt with." Dakota kinship created an extensive social and communal structure that extended across the Dakota nation, ensuring that no matter the village or community visited, a Dakota would likely find a relative. Newcomers could be welcomed into Dakota communities through ritualized ceremonies where the obligations of kinship were bestowed upon the individuals involved. Community governance was accomplished through consensus, with all concerned parties being able to speak and be heard. European and European American fur traders, and later the US government, would utilize (and at times exploit) these kinship networks to foster trade and establish political relationships with the Dakota communities in the region during the early 1800s. 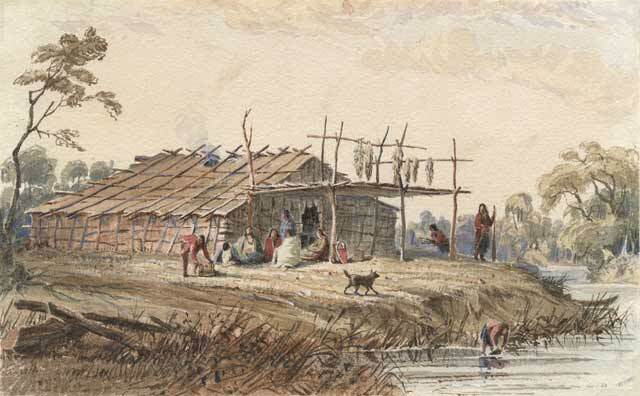 In the 1800s, daily life for the Dakota centered on survival. A harsh climate, tenuous food sources, and potential conflict with neighbors made it essential for Dakota communities to work together at such tasks as hunting and gathering food, cultivating crops, processing animal skins for clothing and shelter, and providing for communal defense. The story of survival is highlighted within the US-Dakota War of 1862. Dakota people survived extermination policies following the war; though some were able to stay in their homelands of the Mni Sota region, most were forced out of the state. Today Mni Sota Makoce continues to be sacred land to Dakota people everywhere, and tribal members continue to return and seek acknowledgement as well as participation in decisions that are made about the places of historic and cultural significance to their communities. Today, the continuation of the Dakota communities, culture, and connection to Mni Sota highlight the great resiliency of the Dakota people. In Minnesota, there remain four federally recognized Dakota tribal oyate (nations): the Shakopee Mdewakanton, Prairie Island Indian Community, Upper Sioux Community, and the Lower Sioux Indian Community. Some of the Dakota tribal communities that exist outside of the ancestral homeland of Mni Sota include the Flandreau Santee Sioux Tribe, Crow Creek Sioux Tribe, Sisseton-Wahpeton Oyate of the Lake Traverse Reservation, Yankton Sioux Tribe, Standing Rock Sioux Tribe, Spirit Lake Tribe, and the Santee Sioux Tribe. Dakota communities in Canada include Sioux Valley First Nation, Dakota Plains Wahpeton First Nation, Dakota Tipi First Nations, Birdtail Sioux First Nation, Canupawakpa First Nation, Standing Buffalo First Nation, Whitecap Dakota First Nation, and Wood Mountain First Nation. Deloria, Ella. Speaking of Indians. Lincoln, NE: University of Nebraska Press, 1998. Eastman, Charles Alexander (Ohiyesa). The Soul of the Indian. Mineola, NY: Dover Publications, 2003. Eastman, Charles Alexander (Ohiyesa). Indian Boyhood. McClure, Phillips, & Co. New York. 1902. Gibbon, Guy. The Sioux: The Dakota and Lakota Nations. Malden, MA: Blackwell Publishing, 2003. Hyman, Collette, A. Dakota Women's Work: Creativity, Culture, and Exile. St. Paul, MN: Minnesota Historical Society Press, 2012. Meyer, Roy. History of the Santee Sioux. University of Nebraska Press. Lincoln & London, 1993. Peterson, Teresa and Walter LaBatte Jr. "The Land, Water, and Language of the Dakota, Minnesota's First People." MNopedia, January 30, 2014. Minnesota Historical Society. "Oceti Ŝakowiŋ—The Seven Council Fires." Spector, Janet D. What This Awl Means: Feminist Archeology at a Wahpeton Dakota Village. St. Paul, MN: Minnesota Historical Society Press, 1993. Waziyatawin. Remember This! : Dakota Decolonization and the Eli Taylor Narratives. Lincoln, NE: University of Nebraska Press, 2005. Dakota summer lodge, 1846–1848. Watercolor painting by Seth Eastman. Dakota summer lodge, 1846–1848. Watercolor painting.Source: MNHS Collections. A Dakota woman and her children, about 1920. 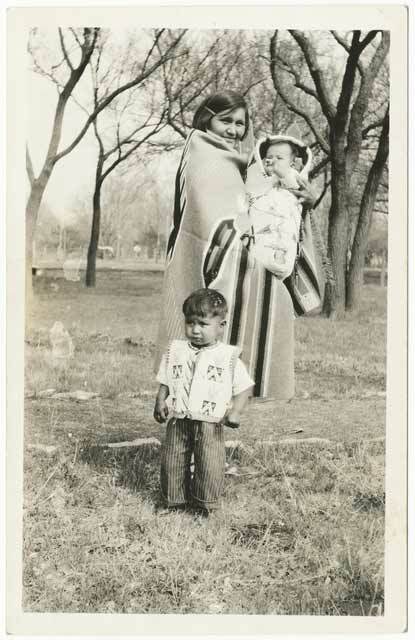 A Dakota woman and her children, about 1920.Source: MNHS Collections. 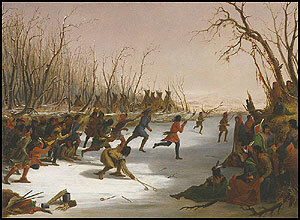 "Ballplay of the Dakota on the St. Peters River in Winter," 1848. Oil on canvas painting by Seth Eastman. Courtesy Amon Carter Museum, Fort Worth, Texas. "Ballplay of the Dakota on the St. Peters River in Winter," 1848. Oil on canvas painting.Source: Amon Carter Museum. 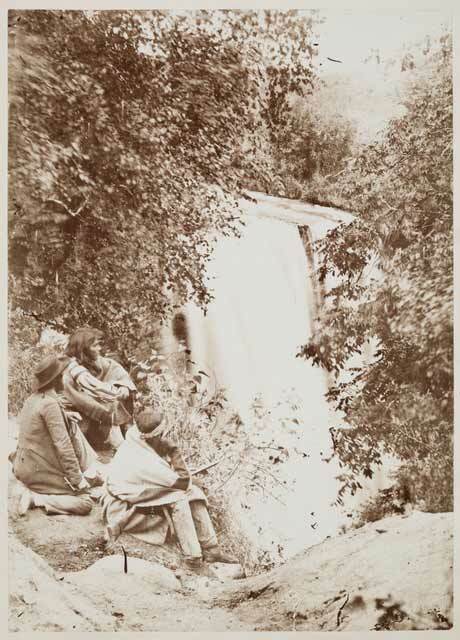 Dakota people at Mnihaha (Minnehaha Falls), 1857–1863. Dakota people at Mnihaha (Minnehaha Falls), 1857–1863.Source: MNHS Collections. 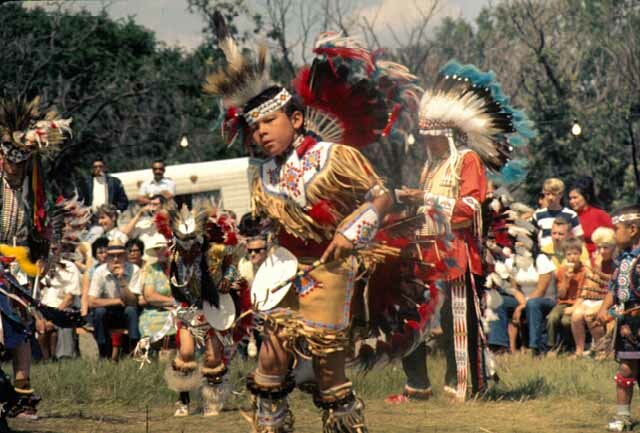 Child dressed in regalia dancing at a Shakopee Mdewakanton Sioux Community powwow, 1970. Child dressed in regalia dancing at a Shakopee Mdewakanton Sioux Community powwow, 1970.Source: MNHS Collections.